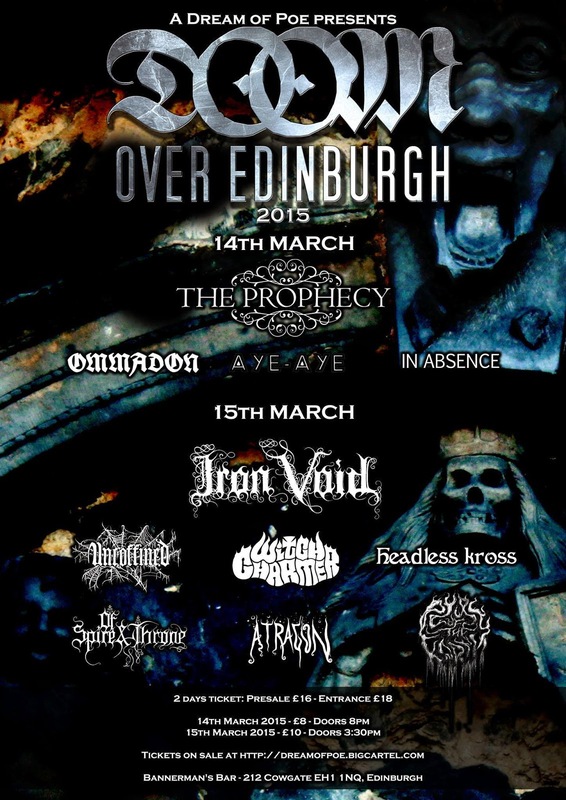 This Noise Is Ours: I'm attending Doom Over Edinburgh 2015! I don't usually make a song and dance about gigs or festivals that I'm going to, but I felt I should give a shout-out to the inaugural edition of Doom Over Edinburgh that takes place this coming weekend (14th and 15th of March) at Bannerman's Bar in the heart of Edinburgh. Depending on my levels of intoxication and the quality of my phone photo-taking skills, I may have pictures and a review of sorts up when I return. https://dreamofpoe.bigcartel.com/. It is recommended that you purchase advance tickets if you're planning to go, due to the limited capacity if the venue.